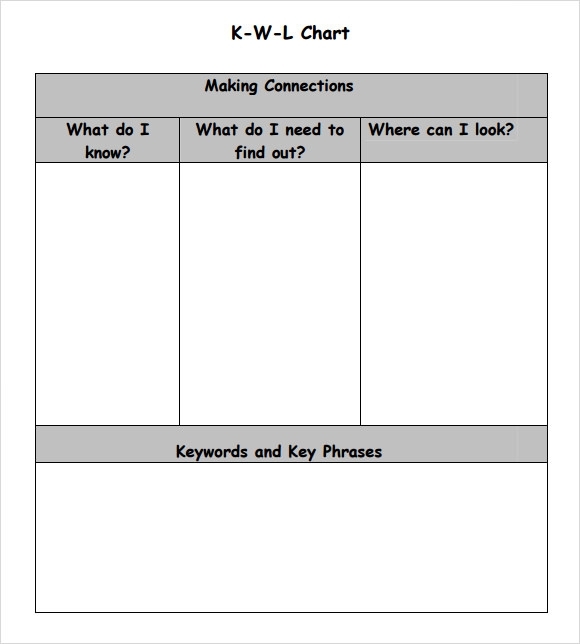 KWL Charts are an excellent way to increase the speed of learning and expanding your knowledge too. 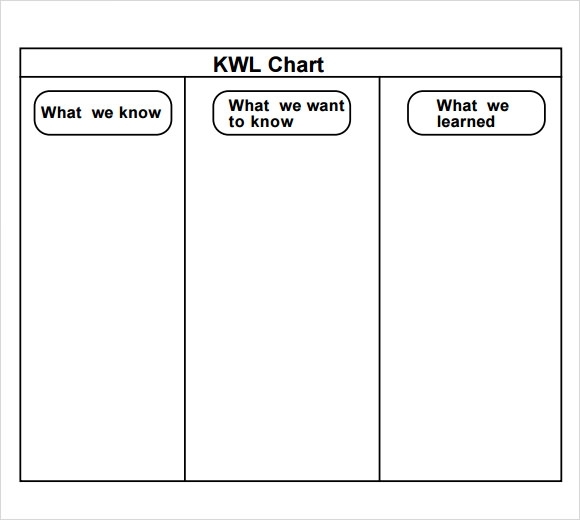 KWL charts enable you to categorize what you already know, what you want to know and what you learned. 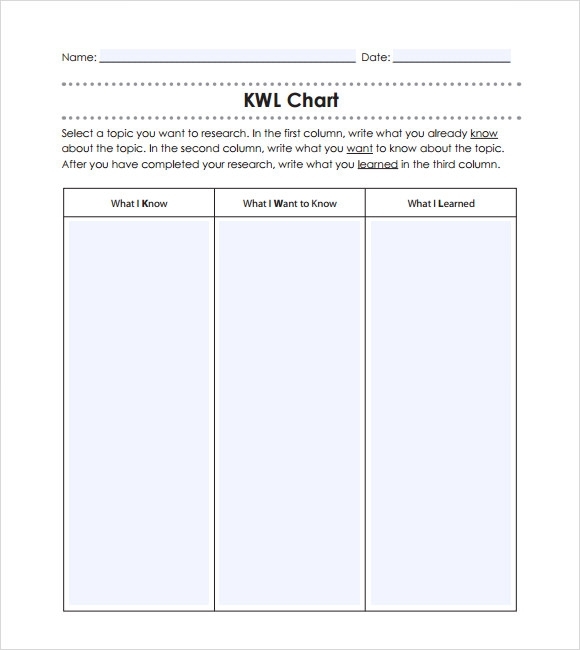 Our KWL charts are ideal for this purpose. 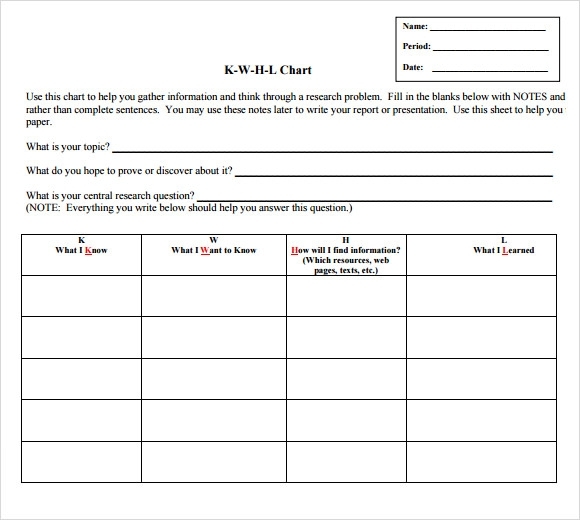 Our well-crafted Chart Templates are available in Word and Excel formats. 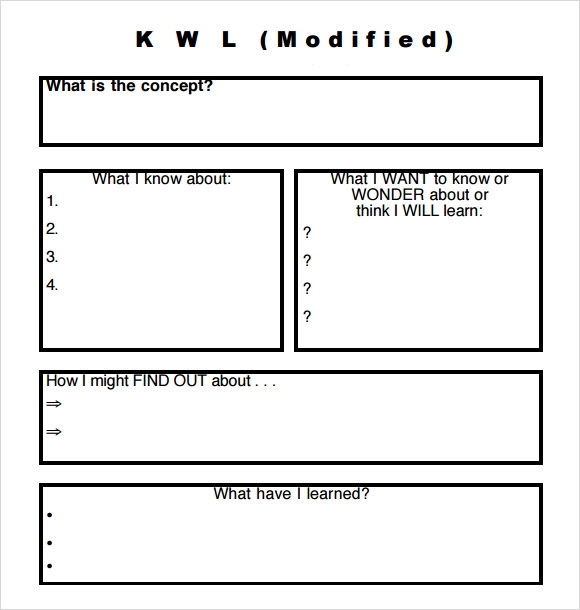 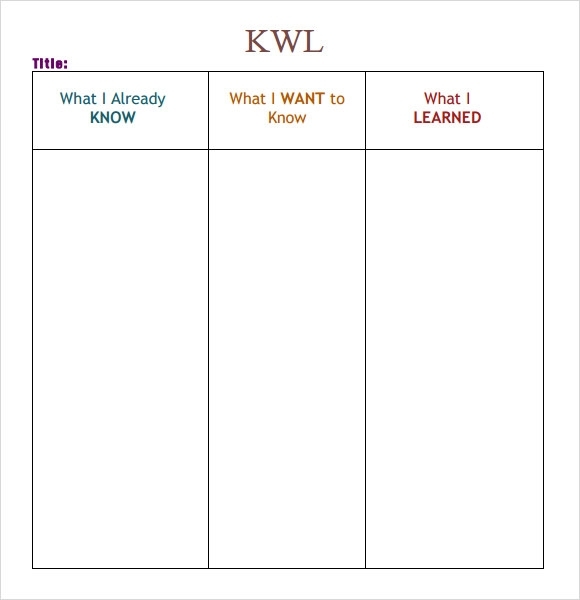 KWL Chart templates have rows and columns for you to fill in details about what you learnt, what you knew and what you want to know. 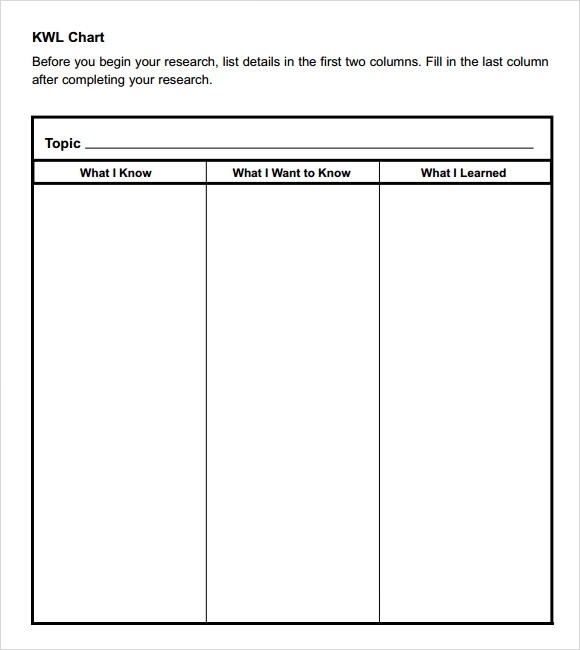 They are also absolutely free of cost and can be downloaded quickly and easily. 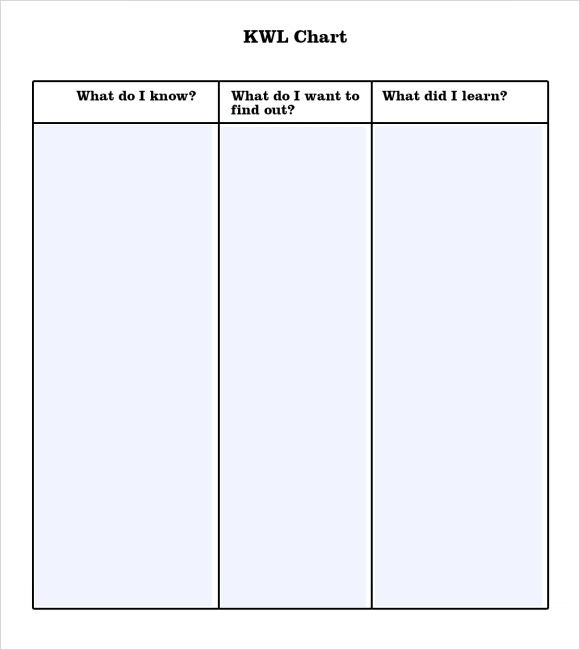 Keep a bunch of printed templates handy for your next class or book club meeting.